Autumn Skills Registration is Open! Are you looking to try your skating skills in a competition? 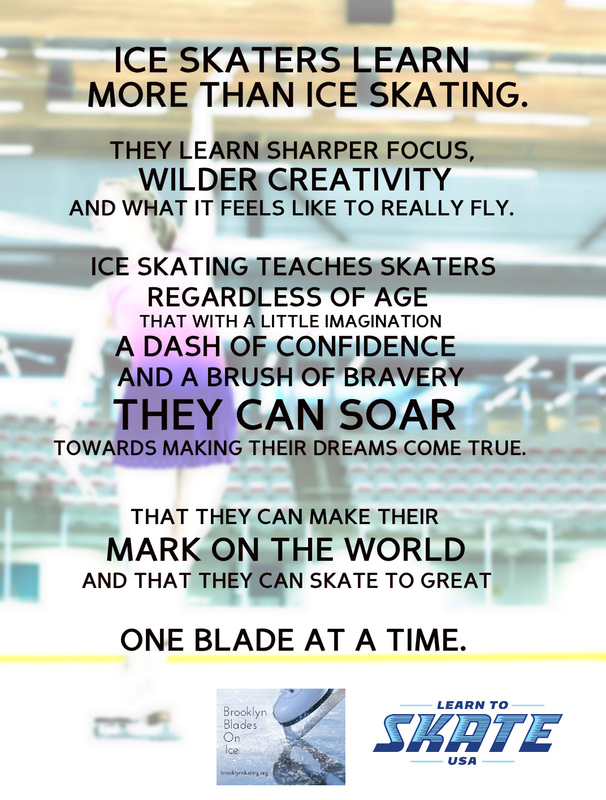 All Brooklyn Blades on Ice Learn-To-Skate members who have passed at least Snowplow 2 level are eligible to participate in a Basic Skills competition right here at our home rink – the Brooklyn Autumn Skills competition. This is a good place to start if this is your first-ever event! You don’t have to be a member of the figure skating club to participate, but we highly recommend scheduling some private lessons with one of our staff coaches to help you prepare! If you are interested – talk to your LTS instructor today! What is the Learn To Skate USA fee? Have you filled out your March bracket? Ice Show T-shirts are on sale NOW! Ice Show Deadline for Brooklyn FSC skaters is today! Ice Show Registration Deadline is fast approaching!